The exterior doesn’t look like the fluting is original, it reminds me of the replacement material used on Mel’s diner, the former Lincoln diner of Lebanon, PA. The former Short Stop diner was also known as the Time Out Diner. It’s a 1950s kullman dinette. White Crystal, which has a reversed floorplan, with the corner door on the right, and the White Rose System of Linden, New Jersey. Both of those diners, however, have canted corners, identifying them as later models. Irene’s is an earlier kullman, with flat vertical sections, and a four window front facade, instead of a five window. Earlier model Kullman dinettes retained the corner door, but had rounded windows. 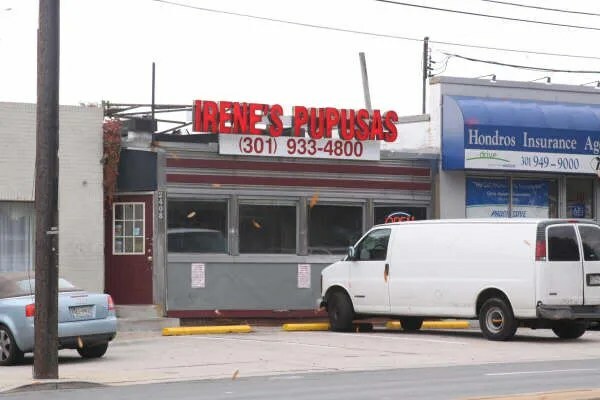 This entry was posted in Diners / roadside related, Diners/ restaurants, Kullman, Roadside attraction and tagged 1940s, 1950s, 1960s, diner, dinette, Hammonton, Kullman, Linden New Jersey, Luncheonette, Maryland, MD, NJ, Pupusas, roadside, Silver Spring Maryland, Silver Spring MD, small, space age, then and now, Wheaton, Wheaton Maryland, Wheaton MD, white crystal, White Rose System by Spencer Stewart. Bookmark the permalink. The Short Stop Diner in Wheaton, MD, was a great place for breakfast. They made a Gyro Omelet with onion that was a real winner. Awesome home fries with a touch of garlic and oregano. 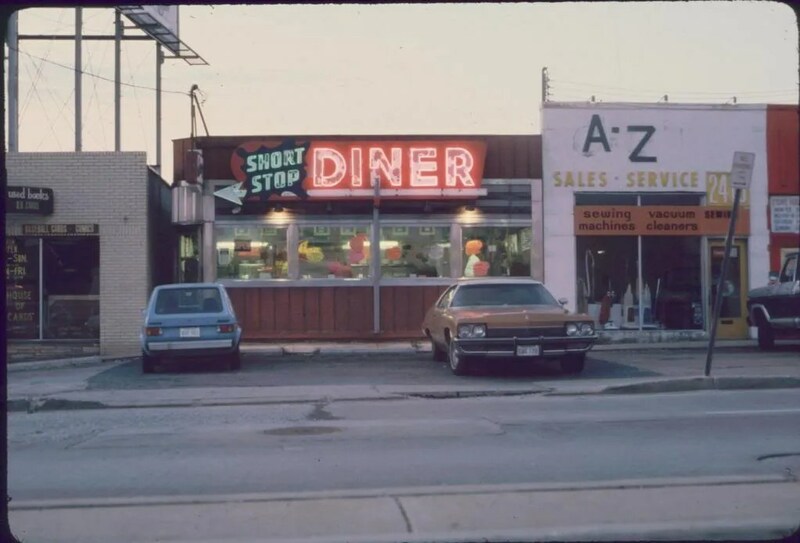 Wheaton still has Nick’s Diner at the intersection of University Blvd and Viers Mill Rd, but I sure do miss the Short Stop. Nicks’ is a nice place. Unfortunately I don’t have pictures of it saved to my computer or I’d post it. 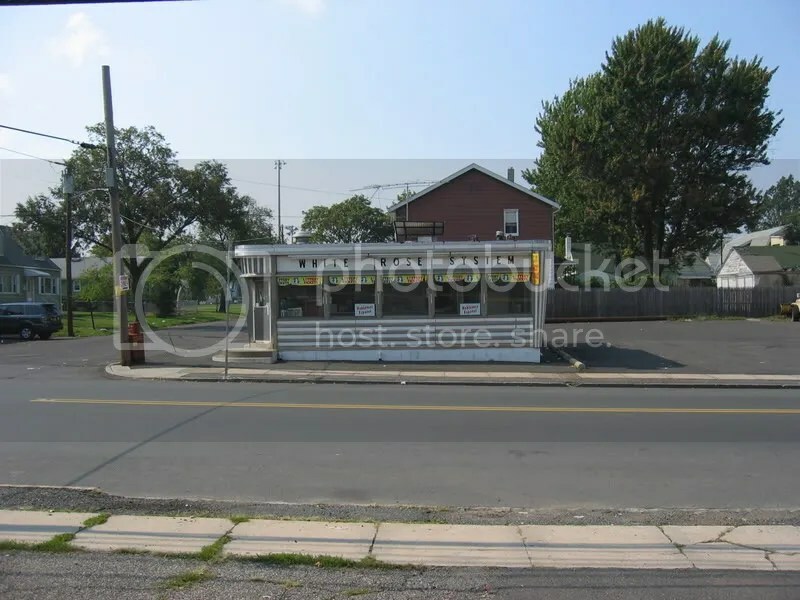 Looks to me like it was converted from an old gas station. Can anybody confirm that?